FIRST impressions matter. There’s no escaping this – especially in today’s on-trade where consumer expectations are said to be higher than ever. And so it’s vital to be proactive about replacing worn furniture and tired decor. That was the message from design firms, who told SLTN that the start of the year – a typically quieter period for the trade – can be the ideal time to carry out a refurbishment and boost profits in the year ahead. Ross Nicholl, managing director of The Wooden Floor Store, suggested working through the night to minimise disruption to business, as well as appointing “the right tradespeople and [using] the right products”. However, whatever the refurbishment plan for a venue, “the most important consideration is what difference it will make to your bottom line”, according to Norman Laidlaw of Laidlaw Contracts, who said a good refurbishment “can have an exponential effect on turnover”. He explained: “A simple paint job will stop your pub looking tired and help to retain customers and attract passing trade. 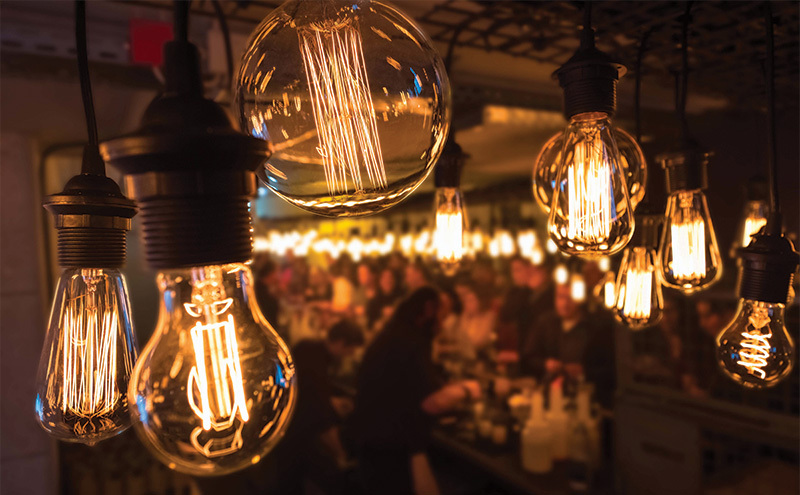 Whereas a major refurbishment project could transform the space and not only affect the look and feel, but utilise space better to provide opportunities to increase sales and profits as well as attracting new customers and taking your pub to the next level. “Pubs now often have to compete with cafes and restaurants which are chasing after the same customers. There are advantages to staff, too, said Ross Craig, marketing manager at KI Commercial Interiors. But before moving forward with any type of redesign, factors such as budget, timescale, a “rationalised brief”, and a lead time for furnishes and finishes should all be considered, said Scott McIntyre of Nicoll Russell Studios. This was echoed by Laidlaw of Laidlaw Contracts, who said: “Allowing adequate time for the tradesman to complete the work and a bit extra to allow for unforeseen delays is wise. And Craig of KI Commercial Interiors said failing to properly plan a refurbishment “is probably the most common mistake”. “Every detail should be covered and clearly communicated to all parties involved,” he said. When considering a design refresh of any size, it’s important to be mindful of the latest interior trends, reckons McIntyre of Nicoll Russell Studios. For instance, he said “bold colours and luxury textures, animal prints/botanicals/fabrics are on-trend”, with golds, coppers, pinks, greens and blues “all proving popular”.